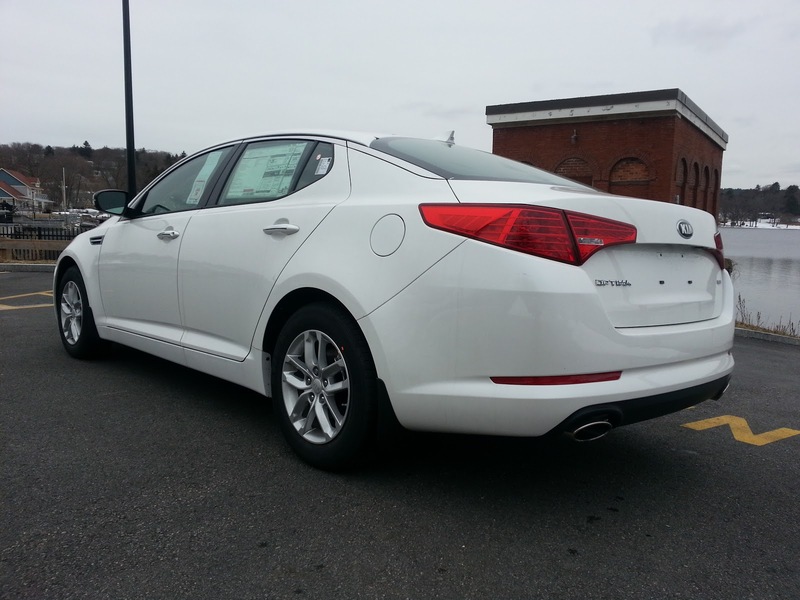 Update: See how the Kia Optima did in our 2013 Mid-Size Family Sedan Comparison. 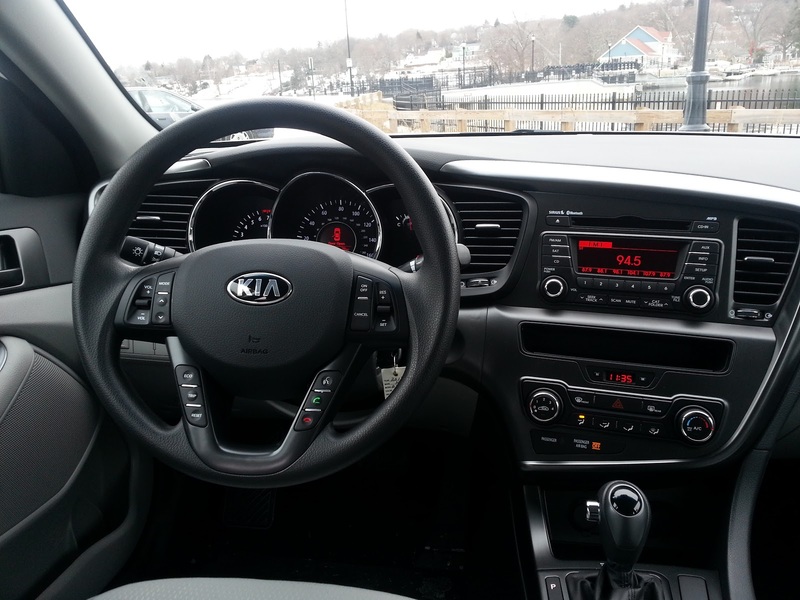 Kia has seen quite the resurgence in the last few years, having been infused by parent company Hyundai with a dose of style, quality, and engineering. No longer is Kia a brand full of terrible cars, that people bought because they were just cheap transportation. Instead, people are now buying Kia's because they are actually legitimately good cars, that are still relatively inexpensive. Of course, the specter of Kias of yesteryear continues to haunt Kia, with many people still concerned about reliability despite having one of the best warranties in the business. 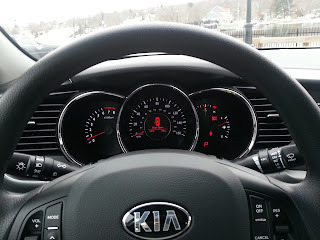 But as Kia has established its beachhead with cars like the Soul, pitched to us with the help of hip hop hamsters, one area that will ultimately decide whether or not Kia will be accepted as a serious brand by the masses is in the mid-size family sedan class. The 2013 Kia Optima, which shares its platform, motor, and many parts with the well reviewed latest iteration of the Hyundai Sonata, is Kia's entry into the class. The swoopy sedan, designed by someone who previously worked at Audi (ok, actually he used to head up design at Audi) is the best looking Kia Optima ever and has already given itself a leg up against the competition by being one of the most daring designs in this class of rather pedestrian looking boxes. Can this handsome new-comer really take on and take down some of the highly decorated veterans such as the best selling, and recently redesigned, Honda Accord? Let me just go ahead and spoil this for you now, it absolutely can. 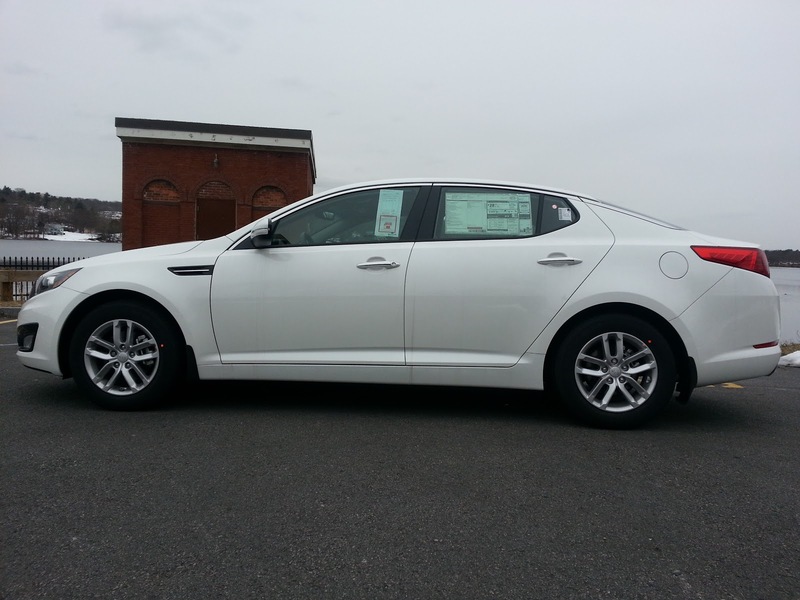 The Optima we looked at was the volume leading Optima LX, which is the model that the majority of buyers are likely to buy. It comes with a surprisingly capable 2.4L four-cylinder gasoline direct injection engine making 200 hp and 186 lb-fit of torque. 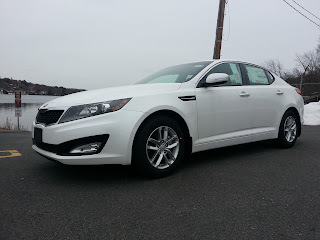 Mated to the 6-speed automatic transmission, this power train combination competently pulls the Optima up to speed without drama and offers plenty of power for the needs of most drivers in most situations. The only downside is the motor sounds exactly like the economy minded four-cylinder motor that it is, though returning a solid 24 city/35 highway mpg helps make up for some of the lack of a muscular soundtrack. And the fact that it is a traditional automatic transmission means none of the horrible rubber-banding feeling of the CVTs that seem prevalent in this class today. Cruising onto the highway, the steering weight is pleasant for a mid-size family sedan, not too heavy and not too light. While the steering itself provides muffled communication at best, it is precise and completely sufficient for grocery or carpool duty. Just do not expect to be hustling this car through the local twisties without some serious upgrades. The suspension is definitely tuned for comfort as the springs at each corner are fairly soft and the car does pitch a fair amount when tossed into the corners. The good news is that the dampers are well matched and the ride is controlled and comfortable, just right for a family sedan that will largely see slow speed stop and go or long highway trips to grandma's house. The interior materials generally feel pretty good, though the design is a bit bland in some places and a bit utterly chaotic in others. Overall, it does not feel like the interior of this lesser model received nearly the attention to detail that the top end SX model did in terms of overall feel, but at least the whole thing feels well screwed together. 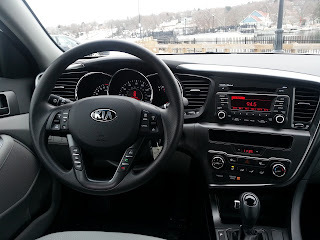 It is hard not to commend Kia for trying to provide a few slightly more upscale touches with the metal look plastic surrounds, but their efforts would have been better spent ensuring that the most frequently touched parts such as the steering wheel and door pulls were wrapped in a nicer material instead of being cheap hard plastic. That alone would have done wonders for the overall feel of cabin. At least the back seat is spacious, with plenty of knee room for long-legged adults, though those adults had better be short of torso and small of head as the swoopy design severely cuts into rear seat headroom. On whole, the Optima is a prime example of a symphony of compromises. The strong motor, good transmission, and attractive exterior design are tempered by the incoherent interior layout, mediocre interior materials, and vanilla bland driving dynamics. It may not be enough yet to knock cars like the Honda Accord off their pedestals, but it definitely lands a couple of solid blows. The car surprisingly adds up to being more than the sum of its parts, providing what should be stylish and practical family transportation. 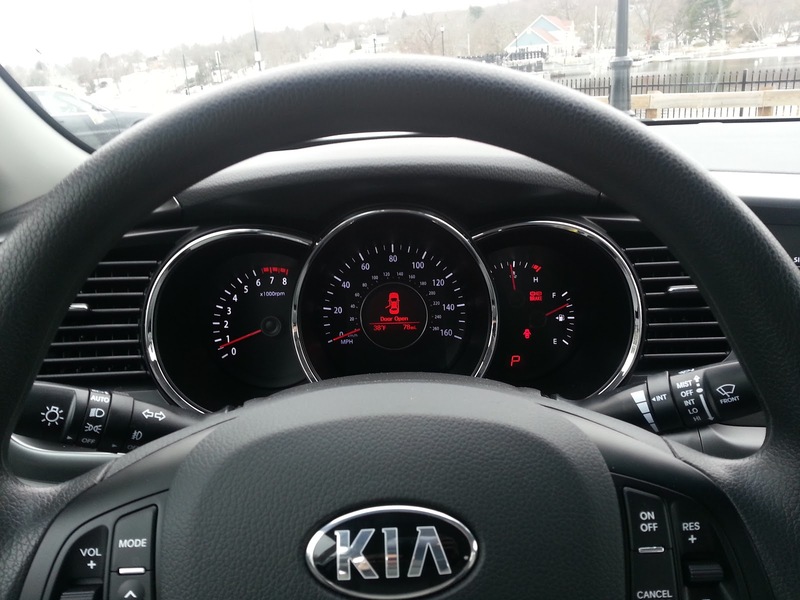 What Kia has not yet managed to do, however, is to transcend that aura of practicality and become something even more. There is just a bit of magic that is missing with the Optima, but there are much worse ways to spend your hard-earned money (we will get to that in our next piece). Factor in one of the best warranties in the business for a decade of near worry free motoring and the 2013 Kia Optima seems like a pretty good bet to take for those who like to add a dash of flair to their playing it safe. Although Kia, please please please design a new key and remote for the car because the ones provided on models without keyless ignition look like crap.